Few people haven’t heard of StarCraft, the 1998 game that revolutionized the real-time strategy genre back in the late 90’s. Actually, developer Blizzard’s game became an overnight sensation due to its addictive RTS gameplay, absorbing single player campaign and its three wonderfully-designed playable races: the enigmatic Protoss, the insect-like Zerg and hard-hitting, nomadic Terrans. Also, it would be an understatement to say that StarCraft’s multiplayer turned out to be popular, as millions have flocked to Blizzard’s online Battle.net service over the years to enjoy StarCraft’s multiplayer gameplay. And StarCraft actually became a competitive sport the world over too, with Blizzard’s game fostering plenty of professional players especially in South Korea, where the best were awarded big prize money and televised matches became popular over the years too. 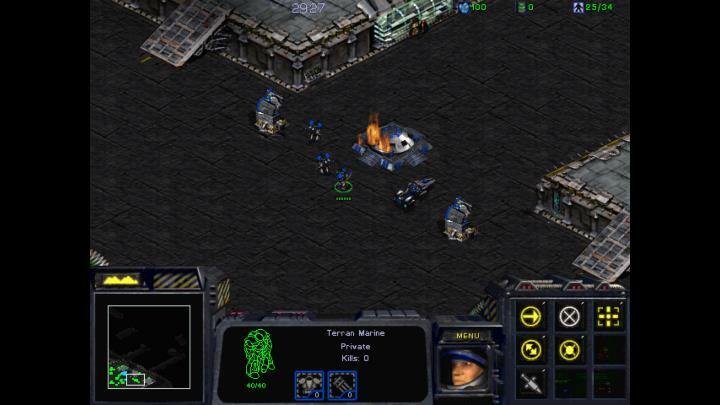 Of course, the original StarCraft is now almost 20 years old and is looking a bit long in the tooth now, with its old VGA graphics not looking particularly great on today’s high-definition monitors, plus the game also suffered from compatibility issues with modern operating systems (which Blizzard thankfully dealt with in a recent patch). 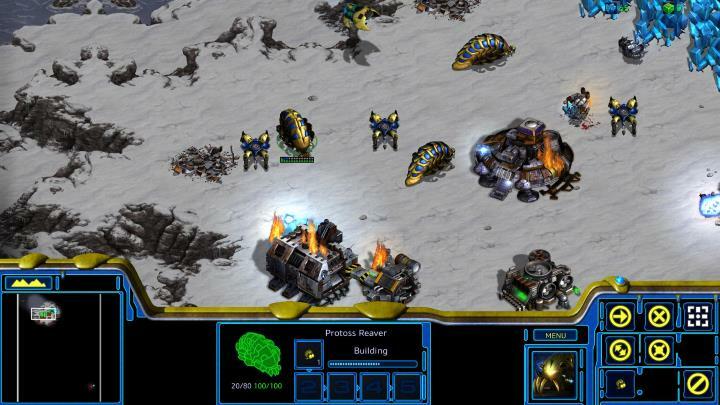 So, plenty of people were excited when news began circulating last June that a remastered version of StarCraft would be coming our way this summer, featuring reworked graphics and support for the latest PC hardware, plus a host of other desirable features too. So, did Blizzard deliver the definitive version of StarCraft with this remaster? Read on to find out. 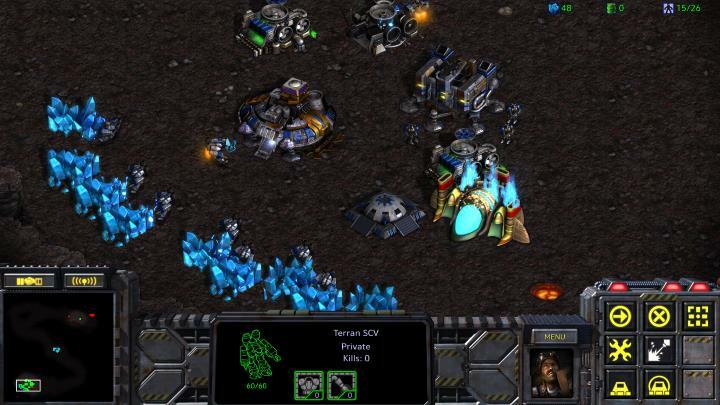 StarCraft’s graphics have been given a high definition makeover in this remaster. Sadly, first impressions were not good. The game ran with the original 1998 graphics by default (it is possible to switch between the new high-definition visuals and the old in-game) which are frankly looking very dated these days, although flicking and option in the graphics menu allowed me to enjoy the new HD visuals in all their glory. Strangely though, my settings would not stick at first and StarCraft kept defaulting to the original 1998 visuals at start up (this happened to volume settings for audio too), something which was rectified by Blizzard in a later patch. Also, there does not seem to be a way to exit the credits screen yet without quitting the game, although hopefully Blizzard will solve this issue in a subsequent patch too. Once in the game though, it is hard not to appreciate how good the new high definition graphics look, and switching between the old and new lets you appreciate the detail in units like the Terran Battlecruiser and Protoss Reaver, for instance. Everything looks clear and crisp, and I certainly won’t be going back to the old, pixelated visuals anytime soon. Plus, support for widescreen resolutions up to ultra-high definition surely is a boon, letting you see more of the battlefield than the original game did. I wasn’t thrilled about the new unit portraits initially, though, thinking these were not as charming as the 1998 originals, especially for units like the Terran marine and characters like Jim Raynor, but these did grew on me during my playthrough nonetheless. And some of the new portraits like those for heroine turned villainess Kerrigan are actually better than the originals too. Plus, it’s hard not to be amused by the funny dialog units spout out when you click repeatedly on them, a highlight in the original game which obviously has been carried over into this remaster. 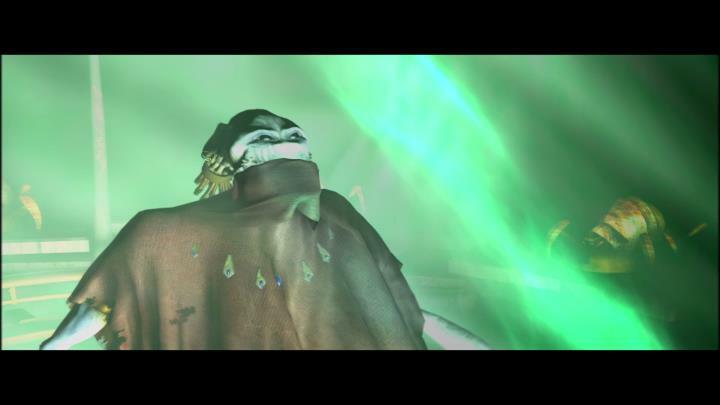 And the new remastered unit voice overs, music and sound effects do sound great and are comparable to those in modern games, although again purists can opt to listen to the original sounds instead if they so wish. Another aspect of the original StarCraft that’s been improved are the cutscenes, which now take up the entire width of a modern widescreen monitor, even if they obviously look dated by today’s standards. Aside from the cutscenes, the original StarCraft also told its story through a series of image slideshows, and we get crisper, high-definition versions of these in the remaster, which surely is a welcome thing. One niggle is that these storytelling screens initially looked to me like loading screens, so Blizzard might consider adding a “click to continue” message to these for clarity’s sake. Purists can revert to the old pixelated graphics at any time if they so wish. Once I got playing the campaign, though, it was easy to forget about those minor niggles as it’s clear that StarCraft’s gameplay still shines. Actually, the game’s Terran, Protoss and Zerg factions are probably the best-designed in an RTS game to date, and each require different strategies to win. The Terran excel at defence due to their durable bunkers which can house up to four marines, while the marine itself is probably the most versatile unit in the entire game, able to hit both land and air targets with their powerful gauss rifles. Terrans also have the devastating long-range siege tanks, and it’s still a joy to pound your enemies with these in the game. Plus, this faction can also lift off and move their buildings around, something that lends itself to sneaky tactics in StarCraft multiplayer too. The insect-like Zerg, meanwhile, rely on sheer numbers to overwhelm their enemies, and can therefore produce units very quickly from their hatcheries, while this faction also has what’s arguably the best unit in the game (the Hydralisk) and other devastating units like the airborne Guardian which can hit enemies from afar. 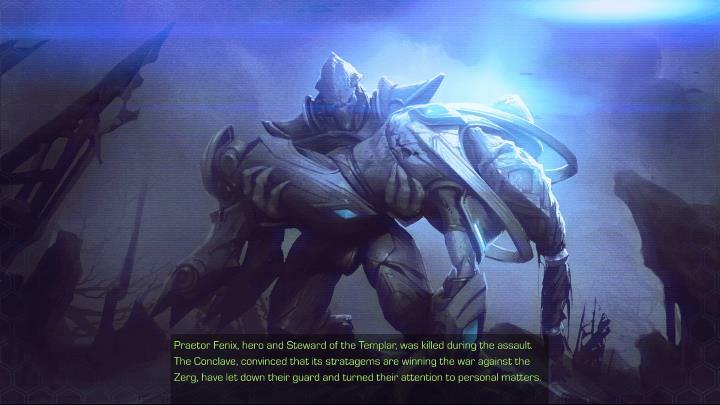 Last but not least are the Protoss, which feature more expensive units which take longer to build, and therefore quite a bit of micromagement is necessary to succeed with this faction. But learning to use specialized units like the Reaver (a devastating artillery unit which can decimate enemy bases in seconds) sure pays dividends both in single and multiplayer play. StarCraft’s campaign introduces you to each faction’s units little by little (there are 10 missions per side) and is still a joy to play through even after all this years. This is thanks to an engaging story featuring great characters like Terran outlaw Raynor, special ops girl Kerrigan and the devious rebel leader Arcturus Mengsk, plus other great characters like Fenix and Zeratul also help make the campaign memorable. The missions on offer here include the typical build a base, gather resources and create an army to crush your foes, although there are other more inventive scenarios in which you simply have to defend from enemy forces for a set period of time, and other “maze” type missions in which you are simply given a bunch of units and need to get to a certain point in the map without having to worry about managing a base. These screens help advance StarCraft’s story, and have been enhanced in high definition for this remaster. Some issues do got in the way of my enjoyment of the campaign this time though, reminding me that this is a 20 year old game at its core. For starters, unit pathfinding is really bad and often my group of units would end up running around like headless chickens when reaching choke points or bumping into obstacles, being unable to reach their destination unless guided by hand. Also, units don’t automatically get out of the way when I wanted to build in a specific spot, which can be a nuisance sometimes. And the poor lip-synching does ruin the atmosphere in the mission briefings a bit truth be told. Although it might not be realistic to expect Blizzard to fix these aspects of the game, as this would have likely required some major development work and a higher price tag for the remaster, and might have ended up changing StarCraft’s gameplay a bit too much as well. Despite these issues though, it was great to return to StarCraft’s campaign, which aside from the great missions also has some great moments like the rebirth of a key character which appeared to have died in an earlier mission, plus there’s plenty of intrigue, betrayal and double-crossings to make it worth playing to the end if you’re new to StarCraft. Once you’re done with the original campaign there’s also the Brood War expansion to play through, which offers eight additional missions for the Protoss, Terran and Zerg sides. The expansion ups the ante in terms of difficulty with some very challenging missions, and those who manage to get through the entire campaign will no doubt have earned some serious bragging rights. Brood War’s missions are also more inventive than those of the original campaign. One noteworthy one requires players to steal several Battlecruisers and make clever use of the units given to them at several stages of the mission, while another pits you against four different Zerg bases which each require a different strategy to defeat. There are also some great new units to play with in the Brood War campaign including the Terran Medic which is a great support unit, and the Corsair which makes the Protoss a force to reckon with in the air. Of course, no matter how good the original campaign and the Brood War expansion are, for many the meat and potatoes of StarCraft will always be the multiplayer. And despite the fact that the original game is now over 20 years old there are still thousands of players online spread across the Battle.net servers, so you won’t likely have trouble finding someone to play against. Actually, using the game’s new matchmaking feature (which is only available for Brood War) I was able to get into multiplayer matches in less than a minute. Expect to face all sorts of sneaky opponents in multiplayer. Another thing, though, is the quality of the players you could end up being pitted against. You see, there are some folk out there who’ve been playing the game for yonks now, and it’s too easy to get pitted against top-notch players even if you’re new to StarCraft. Actually, starting with a new profile I found myself playing against really difficult opponents and struggled to get ahead in the games I played. And it’s clear StarCraft’s multiplayer is still one of the most competitive in the world, and logging into Battle.net these days is like taking a trip to the Wild West (actually this is how Blizzard describes one of its US servers). So prepare to face ruthless opponents online that will resort to tactics like early rushes and harassment of your resource gathering units, and opponents who will be looking to eliminate you from games as soon as possible so that they can add another point to their win tally. If one thing is clear, is that StarCraft Remastered’s multiplayer is anything but newbie friendly, even taking the game’s new matchmaking feature into account. But still, one can always prepare by looking up strategies online and playing matches against the AI, while it’s also clear that StarCraft’s multiplayer alone can offer hundreds of hours of fun for those who are prepared to put in the time and effort to improve their play. In the end, though, and despite the issues, this is a good remaster of an old classic, and will surely become the preferred StarCraft experience from now on for both veterans of Blizzard’s game and RTS fans.